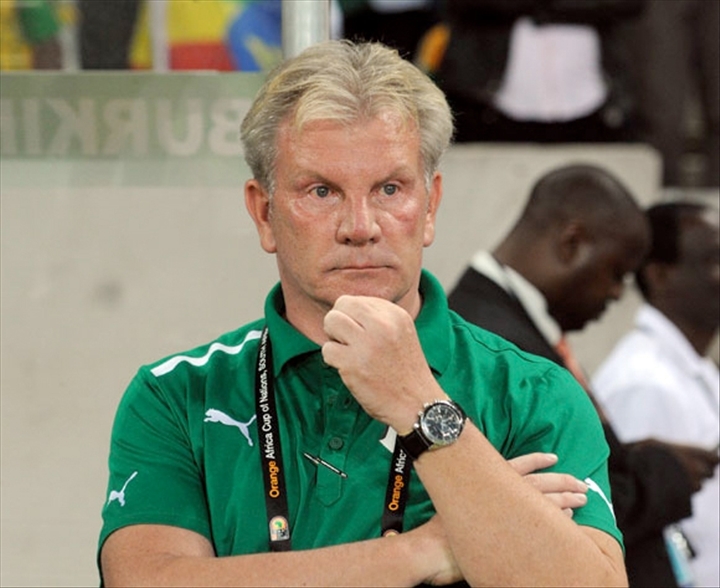 Former Burkina Faso coach Paul Put has indicated interest in taking the vacant Algeria job and leading them to Nigeria for a key World Cup qualifier in November. Ex-Ghana manager Miloslav Rajevac recently parted ways with the Fennecs following their 1-1 home draw with Cameroon, which left Algeria two points behind the Super Eagles in the tough Group B of the African Russia 2018 qualifiers. Put, who led Burkina Faso to the 2013 Africa Cup of Nations final where they lost to Nigeria, believes Algeria's World Cup prospects are still bright despite the matchday one setback. "Honestly, I dream of coaching the team in Algeria," Belgian Put, who lost his job as Jordan coach in January, told an Algerian website. "I had the opportunity during my career to meet many Algerians. I also had the chance to experience the atmosphere of Mustapha Tchaker stage with Burkina Faso. "I only know that my name is circulating in the press to lead Algeria and succeed Rajevac. But no contact has yet been established with members of the Algerian Football Federation. I hope the FAF will get in touch with me. I am convinced in my experience that I can succeed with Algeria. I have the experience it takes to enable the Algerian team to surpass this difficult time. "Of course. I do not say I'm motivated 50% or 100%, but 1000% to lead the technical team of Algeria." Put, 60, insisted that Algeria are still in a very strong position to overtake Nigeria and claim the only World Cup ticket available to the group. "It is clear that the final result of the match was not what the Algerian team deserved," he added, referring to the draw with Cameroon. "Personally I am sad for your selection. Algeria has a very good team with quality players and a wonderful audience. I think this result is surprising for your team before their fans. I did not understand what happened with Cameroon. "Perhaps you could say Algeria are no longer favourites, but personally, I have a different experience during qualifying at the 2010 World Cup in Brazil. I remember that Burkina had lost their first two games against Congo and Gabon. But we managed to pull ourselves together afterwards and we we were in position to qualify for the World Cup in 2010. Unfortunately we lost the last match against Algeria. "Chances of Algeria are still intact to qualify for the World Cup. I'm convinced that your team will come back strong. However, the next match against Nigeria will be decisive for Algeria." The Super Eagles host Algeria in Uyo in November in matchday two of the qualifying campaign.